A Fellowship is formed: thoughts post-Conference. It is our hope this finds you all well. We took a bit of a break post-conference and have had everyone in mind since then. There have been a great number of positive responses to the Conference and we hope you all enjoyed the program we put together. We would be very grateful for any comments and suggestions we can use to better the next Conference. Please comment below or fill out the comments box at the end of this article. 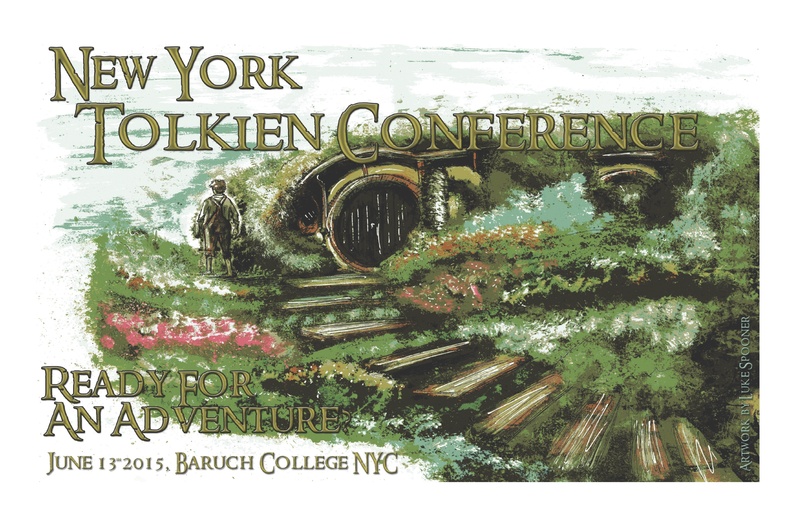 We cannot thank you all enough for your support– the donations and attendance at the first New York Tolkien Conference. It is very heartwarming to know how far some traveled to attend and present at this event. To our Guests of Honor Janet Brennan Croft and John DiBartolo and the Lonely Mountain Band: we are incredibly grateful for your support, your dedication, and your being the 1st Guests of Honor to launch this Conference. We cannot express our gratitude enough for everything you did to make this a very special experience for us all. We encourage you all, regardless of your attendance, to Google each of our presenters and check out their work in the Tolkien field, and other areas they are published within. Thank you so very much for the Conference image and all the work you have done for Myth Ink Books. The event image you produced thrust us all right into Middle-earth for an adventure. Thank you. Did you miss the presentations by Dawn Walls-Thumma or Rebecca Glass & Kat Fanning? The video of my New York Tolkien Conference presentation “The Loremasters of Fëanor: Historical Bias in the Works of J.R.R. Tolkien and Transformative Works” has been posted on my YouTube channel. A detailed synopsis–including the data that you won’t be able to see on the Powerpoint behind me unless you have eyes like the Elves–can be found on my blog The Heretic Loremaster. I’d love to hear comments there or here; I am hoping to make this topic into something publishable in the very near future. My paper begins by exploring how the construction of Tolkien’s works creates in-universe historical bias that affects interpretation of the texts. I specifically look at how the writings of Pengolodh would have shown bias toward the House of Fëanor. While most Tolkien scholars have overlooked this historical bias, it has become a key component of the approach many fan fiction writers take when creating stories about Tolkien’s world. 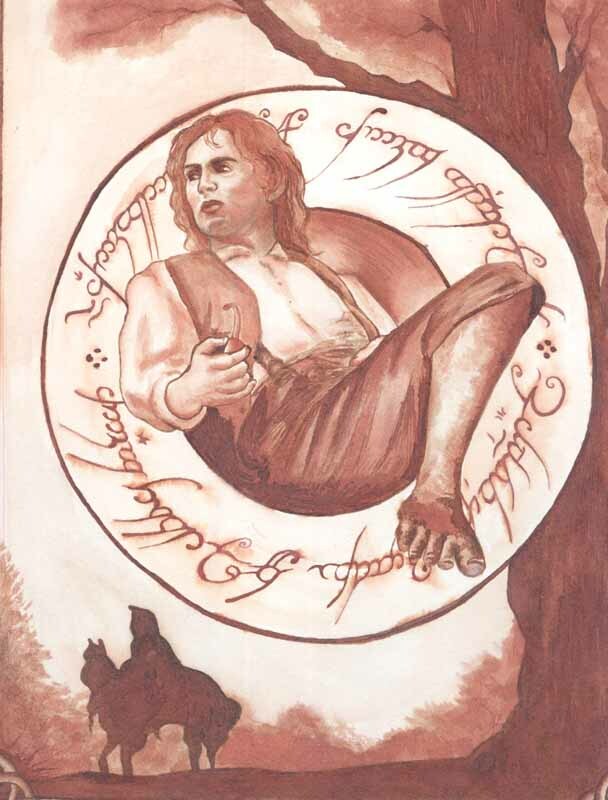 I look at evidence that supports the idea that historical bias inspires fan fiction and consider some major ways that authors use the fallible, biased in-universe narrators to deepen and build on Tolkien’s world through the creation of transformative works. In 1992, Alex Lewis presented a paper at the J.R.R. Tolkien Centenary Conference in Oxford, England, in which he made the argument that Tolkien’s Silmarillion was constructed to reflect the political biases of the fictional chronicler of the text: Elrond. Lewis shows that characters affiliated with Elrond tend to receive more treatment in the text, and their actions are cast in a positive light, whereas characters outside of Elrond’s lineage—Lewis focuses specifically on the Fëanorians—receive relatively little coverage of their positive actions and tend to be depicted negatively by the narrator. Lewis’s findings have been almost wholly ignored by Tolkien scholars, despite the implications of his findings for how The Silmarillion could be read as a work of history therefore subject to historiological considerations. However, another group that deeply reads, studies, and analyzes Tolkien’s texts has not only made a similar observation as Lewis but has acted, often significantly, upon those observations: writers of Tolkien-based transformative fiction, or fan fiction. Walls-Thumma is in the midst of conducting a survey of Tolkien fan fiction writers, and preliminary results show that this group is deeply committed to the study of Tolkien’s world in order to write fiction set in that world. These writers often express a desire to explore the perspectives of characters either ignored or maligned in the texts and sometimes write with the explicit purpose of righting the historical record where misrepresented characters are concerned. This paper will consider how Tolkien’s construction of historical bias in his books influences the creation of transformative fiction based on those books. Lewis claims that part of the reason The Silmarillion is so compelling is because it mirrors the complexity of real-world history, including in the presence of political bias. The types of fan fiction being written about Tolkien’s books and the often inverse relationship between the characters Tolkien emphasized and the characters fan fiction authors write about suggests that the presence of political bias in the texts is a driving force behind the creation of transformative works. Fan fiction writers often view Tolkien’s books as historical texts and their own role as providing alternative texts within the historical record, using subtextual and intertextual analyses to construct stories that offer alternative readings consist with Tolkien’s larger canon. Finally, this activity suggests that Tolkien was successful, despite his doubts, in creating what he termed in a letter to Milton Waldman “vast backcloths” of myth and history that would inspire other creators. Dawn Walls-Thumma is the founder and owner of the Silmarillion Writers’ Guild and a moderator on Many Paths to Tread and Back to Middle-earth Month, projects that promote a deeper understanding of Tolkien’s world through the creation of transformative works set in that world. She is perilously close to finishing her MA in Humanities at American Public University. Dawn has presented on Tolkien’s cosmogony and Tolkien-based fan fiction at the Mythmoot II and III conferences, and her research on the Tolkien fan fiction community has been published in Mythprint. Tolkien’s universe is filled with example of special arms and armor that possess special importance, from Frodo’s mithril shirt to Anduril and Glamdring. But what is the historical basis for these examples of arms and armor? How did they impact the fighting techniques of the time? What sources do we have that describe the way people fought in the late Middle Ages? This presentation will make use of historical sources — such as references to exhibits of surviving weapons and armor, as well as to the preserved fechtbucher (fighting manuals) and their commentaries that are available to anyone interested — to show how we are able to recreate historical fencing techniques. The presentation will also distinguish between blossfechten and harnisfechten (armored vs unarmored combat) and briefly discuss why the sword fights we see in movies (using the Lord of the Rings movies as an example) are often inaccurate. Video clips of Historical European Martial Arts bouts will be presented. Rebecca Glass is a graduate of Syracuse University and a member of the New York Historical Fencing Association. When she’s not swordfighting, she volunteers with the CVTC program at St Luke’s-Roosevelt and writes for http://youcantpredictbaseball.com. Kat Fanning has been studying Historical European Martial Arts since 2014. She is a specialty pharmacy facility supervisor by profession. Additionally, she is a pre-program intern in the conservation department of the Center for Jewish History. She graduated from Southern Connecticut State University in 2011 with a BA in Art History and Chemistry. « Final Conference Update: 4 Days Away!! Thank you so much for linking to my video here! And for having me and my rebellious Feanorians in the first place. 🙂 One nitpick … there is a wee typo in my name: It is WAlls-Thumma, not Wells-Thumma. Kudos to Anthony and Jessica and everyone else who planned and ran this event! You did a great job! Thank you very much! We were so glad to have you and the support for the event, apologies on the misspelling of your name, will correct it momentarily.